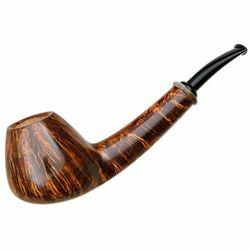 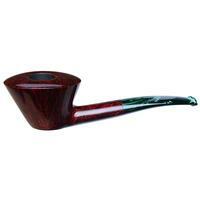 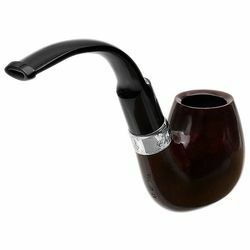 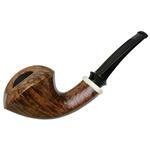 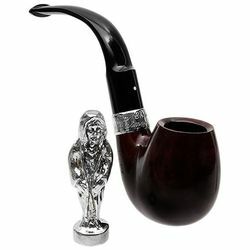 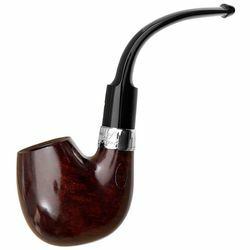 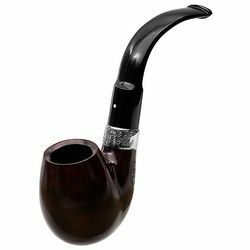 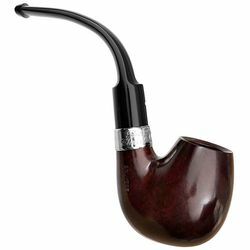 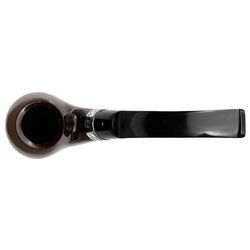 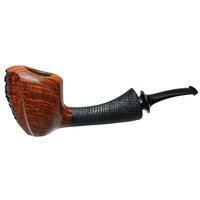 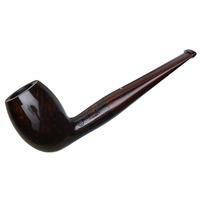 Beginning in 2006, Dunhill's annual Christmas Pipe took on the theme of Charles Dickens' classic tale, A Christmas Carol. 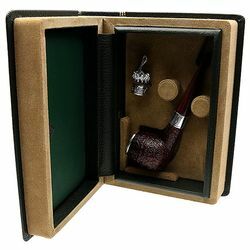 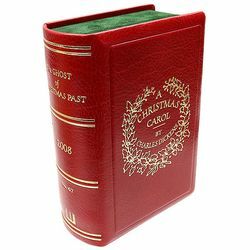 Presented in the traditional leather-bound book-style display case accompanied by a tamper cast in sterling silver, only a select number of these briars were fashioned each year. 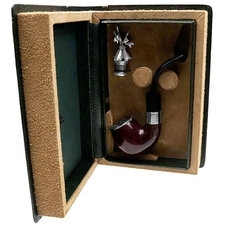 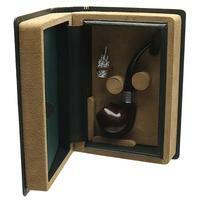 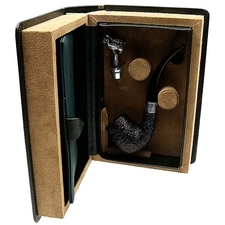 They're quite sought-after by collectors, and make for an exquisite gift for the esteemed Dunhill aficionado. 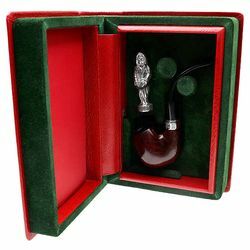 Opening the case, the pipe is a full-bodied Hungarian, found in the marque's original Bruyere finish, and adorned with a generous sterling silver band emblazoned with "The Ghost of Christmas Past." 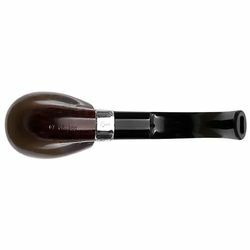 The aforementioned tamper depicts the first of the three spirits to visit Scrooge that fateful night, and the whole of it is unsmoked, as well.